Energy investors were cheered by the stronger than anticipated expansion for the US economy and expected oil demand to stay strong matching the oversupply seen lately. As such they pushed WTI crude prices $0.85 higher to $94.59. Reports that Russian troops had entered Ukraine sent investors in search for a safe haven and so offered support to gold prices. Nonetheless, a rally in US equities clawed back some of the early gains with the precious metal ending the session just $6.5 higher at $1,289. Can we expect yet another challenge at $1,300 mark in the following days? Ahead of the Labor Day holiday in the US, which marks the end of the driving season's peak, gasoline production increased and energy investors will be expecting demand to slump. As a result, WTI crude prices lost $0.16 to $93.71 per barrel even though a lower dollar usually acts as solid support. Amid a weaker dollar and increased tensions in Ukraine, gold prices climbed again yesterday, gaining $1.9 to $1,283.6. Whilst geopolitical concerns are providing support for the precious metal, the general trend towards rate hikes and a stronger dollar is providing significant downside pressure. Optimism over the state of the US economy easily spilled over into the energy complex, pushing WTI crude prices $0.46 higher to $93.82 per barrel. The US recovery seems to be gathering pace so demand for energy should also pick up, thus counterbalancing the oversupply concerns which had triggered a price decline lately. Tensions in the Middle East and Ukraine fuelled demand for gold as a safe haven in early trading yesterday, pushing the metal to an intraday high of $1,290.8. However, a stronger dollar took its toll later on and the market gave back most of its rally, just managing to cling to a $4.0 gain to close at $1,280.4. 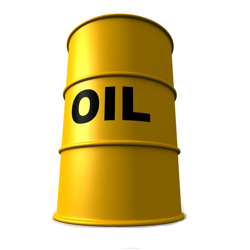 US crude oil prices lost $0.13 to $93.34 on the back of another display of strength from the dollar. Oil production remains robust and motorists across the country are enjoying cheaper gasoline at the pumps. One of the reasons for the increase in output has undoubtedly been the shale boom currently underway across the Atlantic. Dollar strength also put downside pressure on gold prices which lost $4.9 to $1,277.2 yesterday. In addition, talk of the Fed raising the cost of borrowing next year reduced the demand for the precious metal as an alternative asset.